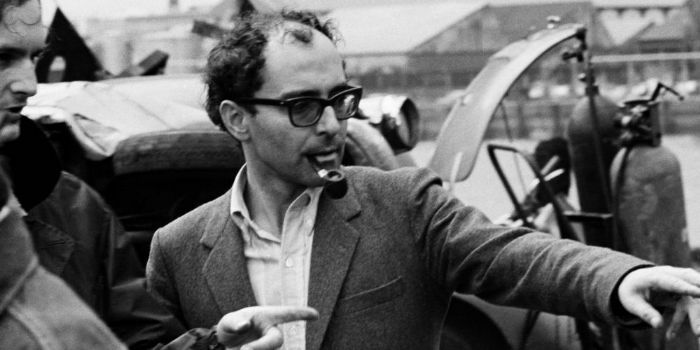 From my last two years at Dartmouth to my first two or three years in Los Angeles, I thought that French film director Jean-Luc Godard was the greatest living filmmaker. Since he was still under forty, I thought he had many productive years ahead of him. When I first came to L.A., I did not drive (that came almost twenty years later). Most of his films received their Southland premieres at the Laemmle Los Feliz Theater on Vermont, a few blocks north of Hollywood Boulevard. It was a long bus ride involving a transfer in Beverly Hills at Santa Monica and Cañon to a bus that let me off at Santa Monica and Vermont. From there, it was almost a mile to the theater. This was at a time that I was suffering from urethral strictures that made long bus rides an ordeal for me. Several times I wound up wetting myself on the way back. That is a singularly unromantic way of paying for one’s love of art. The last Godard film I loved was Week-end (1967). Afterwards, he continued to make films, but as a dedicated Maoist and Communist Revolutionary. We all saw signs of this coming in La Chinoise (1967), but couldn’t believe he could throw away his talent for mere propaganda. After 1970, the only new Godard film I saw was Éloge de l’amour (In Praise of Love), made in 2001, which I saw early this year. In the intervening years, I continued to see my Godard favorites over and over again: Le Mépris, or Contempt (1963), Pierrot le Fou (1965), and Alphaville (1966). This morning, I saw Vivre Sa Vie (1962) and became quite suddenly unblinkered. I always saw Godard as a free spirit, but now I realized that there was a formal excellence that I had not appreciated. 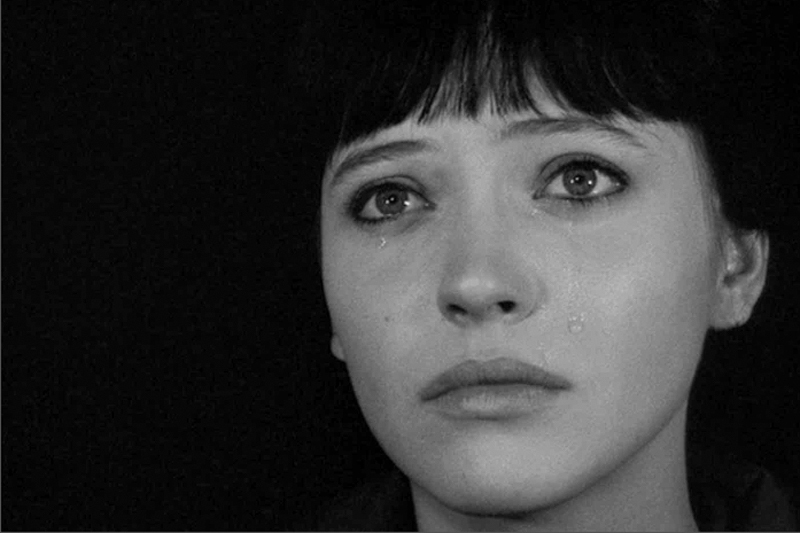 The film stars his wife, the lovely Anna Karina, who in twelve tableaux turns to the world of prostitution, falling in with a pimp who shoots her in the end. Where one would expect such a film to be relatively devoid of emotion, Godard follows Karina during the stages of her fall with a delicacy showing how strongly he felt for her. The above photo is taken in a movie theatre, where she tears up while seing Carl Dreyer’s The Passion of Joan of Arc (1928). As if my life were not complicated enough, I am now going to stage a multi-year re-evaluation of Godard’s work—if I am lucky to live so long! There really is something there. I’m glad it was not just a youthful infatuation.